Is whole-body vibration an appropriate treatment for children? Research has been conducted with many different pediatric patient populations to determine the effects of whole-body vibration (WBV) on various conditions. There are a number of ailments which manifest in childhood that require medical intervention and rehabilitation to maximize function and improve quality of life. WBV may be used as a therapeutic tool in conjunction with conventional treatments to address issues such as weakness, balance deficits, and limited mobility. When considering exercise options for children, it is important to acknowledge the issue of compliance. When boredom sets in, children are not likely to continue with an activity. If it’s not fun, it won’t be done! Health care providers are challenged to design time and cost-effective programs that are easy to implement when it comes to kids. With this in mind, many studies have shown that children tolerate and even enjoy vibration exercise. WBV enhances a child’s desire to participate in activities, and it breaks the monotony of a typical exercise routine. It can also produce a soothing effect that calms the nervous system which is very useful in regulating muscle tone and inducing relaxation. There are multiple benefits of using WBV for children who have orthopedic, neurological and pulmonary conditions. Some of the conditions that have been studied include osteogenesis imperfecta, spina bifida, Down Syndrome, muscular dystrophy, spinal muscle atrophy, cerebral palsy, and cystic fibrosis. 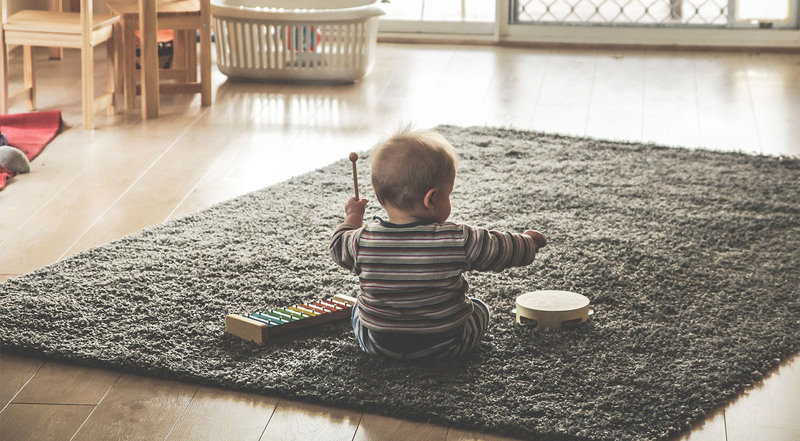 In order to determine whether or not WBV is an appropriate intervention for a particular child, it is important to highlight the results of the research. This article is intended to provide an overview of the findings with regard to the effects of WBV in relation to these various disorders. Osteogenesis imperfecta (OI), also known as brittle bone disease, is a genetic disorder that predisposes the affected child to fractures. Fractures may occur even as a result of small movements or minimal trauma. There are at least eight types of OI that have been identified which vary in severity. Due to issues with the formation of collagen, a protein that contributes to bone structure and durability, the bones are weak and susceptible to breaking. Common impairments associated with OI include muscle weakness and joint hypermobility, which cause instability and hinder function. Such a diagnosis is often devastating for families as the disease has a severely negative impact on the child’s quality of life. Those who suffer from recurrent fractures often require surgery and hospitalization, leading to prolonged periods of immobilization. Treatment generally includes physical rehabilitation and administration of bisphosphonates, which are a class of drugs that promote bone growth. Identifying exercises that children with OI can easily perform and maintain is a definite challenge due to the fragile nature of this condition. In the past ten years, WBV has been investigated as a possible intervention in this population and has yielded exciting results. The outcomes of several studies have shown improvements in muscle force, mobility, and bone density. It is important to mention that WBV is usually included as one component of a rehabilitation program, rather than an isolated treatment. More research is needed with regard to the effects of WBV on OI. Neural tube defects define a group of disorders that affect the development of the spinal cord and vertebrae. Spina bifida is a birth defect of the spinal column in which there is incomplete closure, leaving the spinal cord deformed or exposed. The associated nerve damage affects the child’s use of his or her legs and may also create problems with bowel and bladder function. There are different degrees of spina bifida which cause symptoms that vary in severity ranging from leg weakness to paralysis. Goals of treatment are directed at increasing mobility to maximize function and reducing the incidence and impact of secondary conditions such as osteoporosis. WBV as a potential exercise option for children with spina bifida is promising. In one study, researchers noted significant improvement in motor function and walking speed following the completion of a 6-month WBV program. The children demonstrated improved muscle function and flexibility as noted by decreased contractures (shortening of muscle tissue). These changes contributed to an improvement in overall mobility and quality of life. Interesting findings have been published regarding the use of WBV with individuals diagnosed with Down Syndrome. This disorder (also known as trisomy 21, in reference to an extra copy of chromosome 21) is characterized by altered facial features, low muscle tone, and developmental delays. Individuals with Down Syndrome typically exhibit a higher percentage of body fat/lower percentage of lean body mass and lower bone mineral density compared to those in the same age groups without the condition. In general, lower lean body mass is correlated with an increased risk of developing cardiovascular disease, high blood pressure, and diabetes. Treatments in this population should focus on activities that promote improvement in muscle mass, bone strength, cardiovascular health, and overall function. The results of one study indicated that there were certain conditions in which balance improved in the treatment group of adolescents with Down Syndrome who received WBV, compared to a control group of adolescents without the disorder. Another study focused on changes in bone mineral content (BMC) and bone mineral density (BMD) in the bones of the upper and lower limbs in young people with Down Syndrome. Findings showed increases in both measures in the tibia (lower leg bone) and radius (forearm bone) after the conclusion of a 20-week WBV program. Another 20-week WBV trial focused on changes in body composition. It was noted that the individuals who received WBV showed a more marked decrease in upper limb body fat and a generally higher percentage of improvement in whole-body lean body mass. These results suggest that a WBV program can have a positive effect on body composition in this population. Muscular dystrophy (MD) is a genetic disorder that affects both children and adults. The most common types include Duchenne MD (DMD) and Becker MD (BMD), both of which are more prevalent in boys than girls. In both types, there is a deficiency of the protein called dystrophin, which is present in both the skeletal and cardiac muscles. Dystrophin provides a framework which strengthens the muscle fibers to help protect against injury. Muscle weakness is the primary issue and is present to varying degrees, depending on the type of MD. Duchenne MD is accounts for more than 50% of all cases. Some types affect the heart and lungs more specifically, leading to significant complications and even death in early to middle adulthood. Spinal muscular atrophy is a rare genetic condition which involves the loss of the nerve cells that supply muscle tissue, known as motor neurons. This leads to progressive muscle atrophy (wasting away) which causes significant weakness. The National Institutes of Health cite four types of SMA, characterized by the point in the lifespan during which the symptoms arise. Life expectancy for those with SMA is largely variable based on the type, ranging from death in early childhood due to respiratory failure to a normal life expectancy into later adulthood. Both MD and SMA are diseases that present various challenges which preclude the ability to exercise. As there is no known cure for either disease, treatment is primarily focused on management with nutrition, medication and rehabilitation therapies. It is especially challenging for children whose mobility and stamina are limited to engage in meaningful exercise that will not cause injury. Therefore, the safety of WBV has been a primary concern when investigating its effects on children with these particular disorders. A pilot study recruited children with both DMD and SMA to participate in an 8-week WBV program using a side-alternating platform. The trial was well-tolerated by all of the children and WBV was deemed a safe treatment option. In the group diagnosed with DMD, modest changes were noted in distance covered during a timed walking test (6-minute walk test) as well as improvements in stair climbing ability, while a more significant change in the timed walking test distance was noted for the subjects with SMA. There has been a large amount of research conducted with regard to WBV and its effects on children with cerebral palsy (CP). CP is classified as the most common childhood motor disability, prevalent in as many as 4 in 1,000 live births. It is a movement disorder that results from brain damage that occurs before, during or after birth, and is usually due to an infection or trauma. Mobility is widely variable amongst patients with CP, with movement and posture impairments ranging from mild to severe. Spasticity (uncontrolled muscle tightening caused by altered neurological function), decreased flexibility and muscle weakness all contribute to limited mobility, which impacts function and quality of life. Some children may be dependent on walking aids or wheelchairs, while others may be mobile without the use of external supports or assistance. As many individuals with CP will live well into adulthood, it has been critical for health care providers to identify appropriate modes of exercise throughout the lifespan for these patients. WBV has produced positive effects in patients with CP, including reduced spasticity, increased muscle activation and strength, improved walking ability, improved bone structure and improved functional mobility. A recent study examined the effects of WBV on individuals with CP as a weight-bearing activity to improve muscle and bone health. Results showed an increase in muscle and bone mass of the total body, trunk/lumbar spine and legs, confirmed by the standardized DXA test. Walking quality is often poor in children with CP due to its detrimental effects on the musculoskeletal system. The outcome of a 3-week WBV trial showed improvements in walking speed, step length, and step width compared to conventional PT alone. This was especially encouraging, considering that even a short-term WBV intervention has the potential to create pronounced changes in function. Cystic fibrosis (CF) is a hereditary disease that involves the buildup of thick mucus in the lungs and organs, resulting in the formation of scar tissue. Although the primary issue is compromised lung function, CF also causes digestive problems due to blockages that develop in the pancreas. In addition, CF can cause an onset of diabetes due to pancreatic dysfunction. There are specific medical devices on the market to treat CF, such as airway clearance vests that provide direct stimulation to the lungs via high-frequency chest wall oscillation (HFCWO) and respiratory devices that are used to actively clear the lungs (i.e. the Acapella, a positive expiratory pressure device). In recent years, WBV has been studied as an adjunctive treatment for CF. It has the potential to improve overall health in these patients as it offers a different range of benefits than airway clearance devices alone. While research with this patient population is limited, studies have cited several positive effects. In a 2013 trial, male and female patients with CF, aged 8 to 15, participated in WBV 3 times a week for 4 weeks. 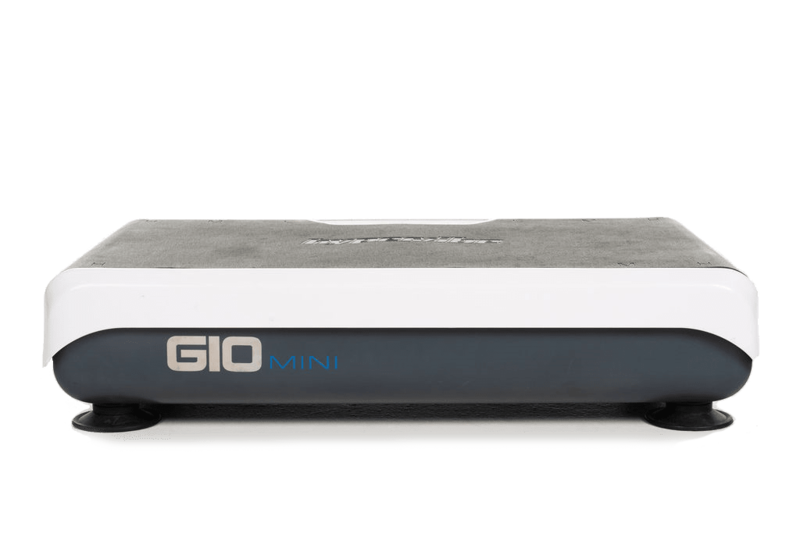 They received 1 minute of vibration alternating with 1 minute of rest and the total treatment time was increased gradually over the 12 sessions. No adverse effects occurred and changes in cardiopulmonary and leg muscle strength were noted. In addition, the changes appear to have been maintained 4 weeks after the trial concluded. Additional studies conducted with young adults with CF have yielded similar outcomes. Before a child participates in WBV, it is important to consult with the child’s doctor as it may not be appropriate during certain times, such as in the case of an active infection, new wounds or acute pain. Researchers have highlighted the fact that WBV is both time and cost effective, making it ideal for children with CF whose exercise tolerance is limited by breathing difficulties and muscle weakness. While the future status of the research in this area is not clear, the hope is that additional studies will confirm the value of integrating WBV into CF rehabilitation programs. While many pediatric studies have demonstrated positive results, WBV is not intended to replace standard treatments. It can function as a complement to other therapies to enhance the positive effects of those interventions and also encourage a higher level of compliance with exercise. Continued studies will be valuable to further clarify the effects of WBV in pediatric populations. Although WBV research is still preliminary in some areas, it has sparked curiosity in the scientific and medical communities as a novel approach to exercise for disabled children. 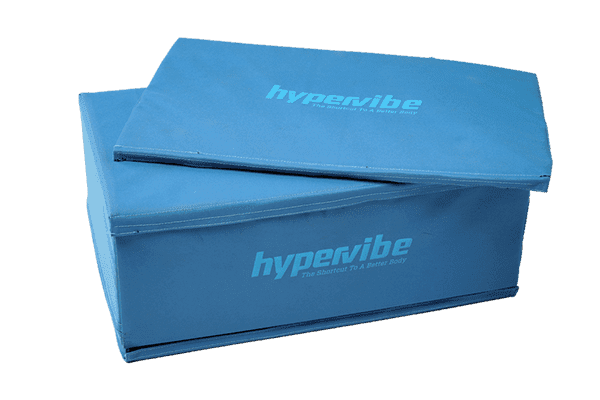 *Hypervibe offers a safe and effective way for children who struggle with mobility issues to participate in WBV. 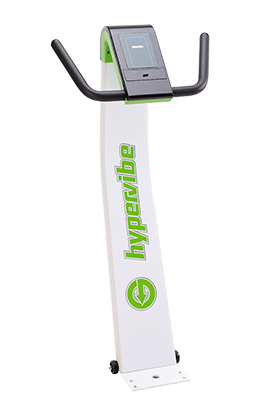 Please do not hesitate to contact us for more information about how Hypervibe might be helpful for your child. 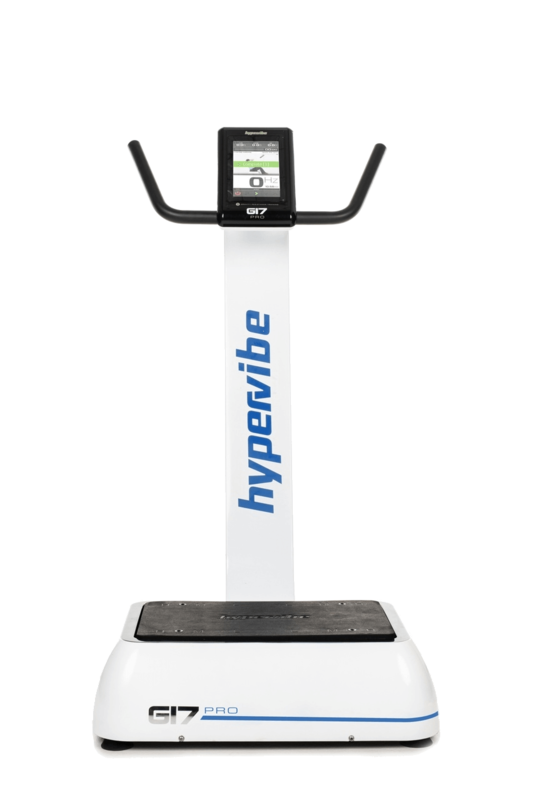 The Effect of Whole Body Vibration Exposure on Muscle Function in Children with Cystic Fibrosis. Journal of Clinical Medicine Research. O’Keefe et al, 2013. Effect of Whole Body Vibration Training on Balance in Adolescents With and Without Down Syndrome. Research in Developmental Disabilities. Villarroya et al, 2013. Effects of Whole Body Vibration Training on Body Composition in Adolescents with Down Syndrome. Research in Developmental Disabilities. Gonazlez-Aguero, 2013. Effects of 3 Weeks of Whole-Body Vibration Training on Joint-Position Sense, Balance and Gait in Children with Cerebral Palsy: A Randomized Controlled Study. Physiotherapy Canada. Ko et al, 2016. Effects of Whole-Body Vibration Training on Physical Function, Bone and Muscle Mass in Adolescents and Young Adults with Cerebral Palsy. Scientific Reports. Gusso et al, 2016. Effect of Whole Body Vibration on Bone Mineral Density and Bone Quality in Adolescents with Down Syndrome: A Randomized Control Trial. Osteoporosis International. Matute-Llorente, 2015. Neuromuscular Training Based on Whole Body Vibration in Children with Spina Bifida: A Retrospective Analysis of a New Physiotherapy Treatment Program. Child’s Nervous System. Stark et al, 2015. Results of A Prospective Pilot Trial on Mobility After Whole Body Vibration in Children and Adolescents with Osteogenesis Imperfecta. Clinical Rehabilitation. Semler et al, 2008. A Specialized Rehabilitation Approach Improves Mobility in Children with Osteogenesis Imperfecta. Journal of Musculoskeletal Neuronal Interactions. Hoyer-Kuhn, 2014. 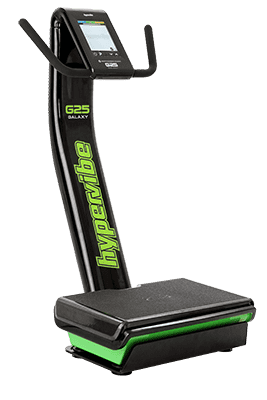 Whole-Body Vibration Training in Children with Duchenne Muscular Dystrophy and Spinal Muscular Atrophy. European Journal of Paediatric Neurology. Vry et al, 2013.